Carmel and Monterey, while known more for it’s great wineries and tasting rooms, also produces some signature libations. A perfect place to absorb the salt air, wash of waves and fiery sunsets while saucing it up. Chili de Mayo Margarita . . . coastal style. 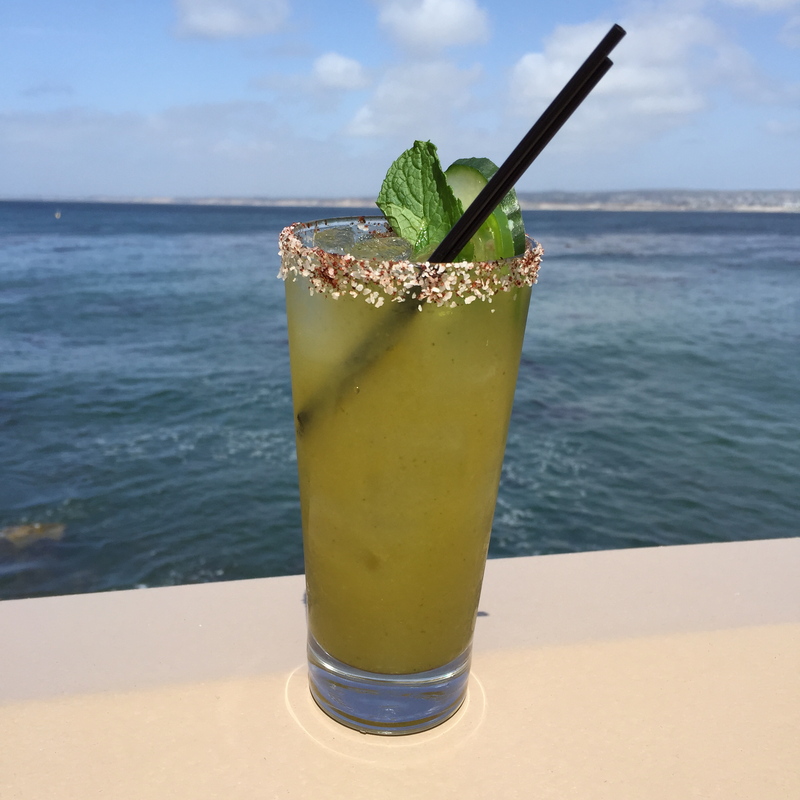 Schooner’s Oceanfront Cafe served this fiery concoction on May 5th for Cinco de Mayo. Agave Tequila, Grapefruit Juice, Chipotle Powder, fresh jalapeno, cucumber, mint, squeeze of lime, splash of soda. Rimmed in a chipotle salt, garnished with mint, cucumber and a jalapeno slice. My new best friend is P.F. Chang’s Red Goose Martini. Recipe – Grey Goose Vodka, Pom Wonderful pomegranate juice, shaken with 4 Thai basil leaves, juice of fresh ginger, simple syrup, and lime juice. Garnish with a spring of Thai basil. 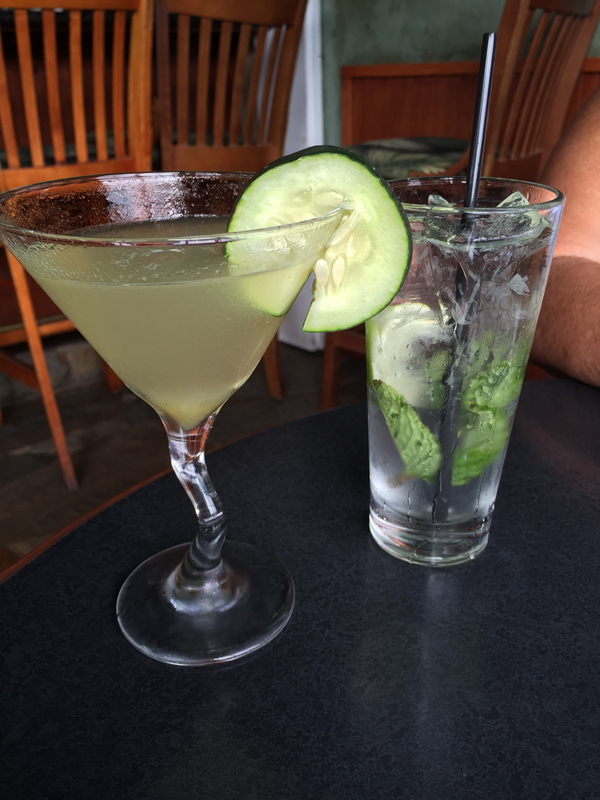 Refreshing on the palette is the Pear Cucumber Martini served at Paradise Beach Grill in Capitola. Perfect for a warm summer day at the beach.